What really happens at Osho meditation resort. ‘Wow so I actually came to this place on Osho’s birthday, another incredible “coincidence”’. I thought to myself. I know you are calling me My Divine Supreme. 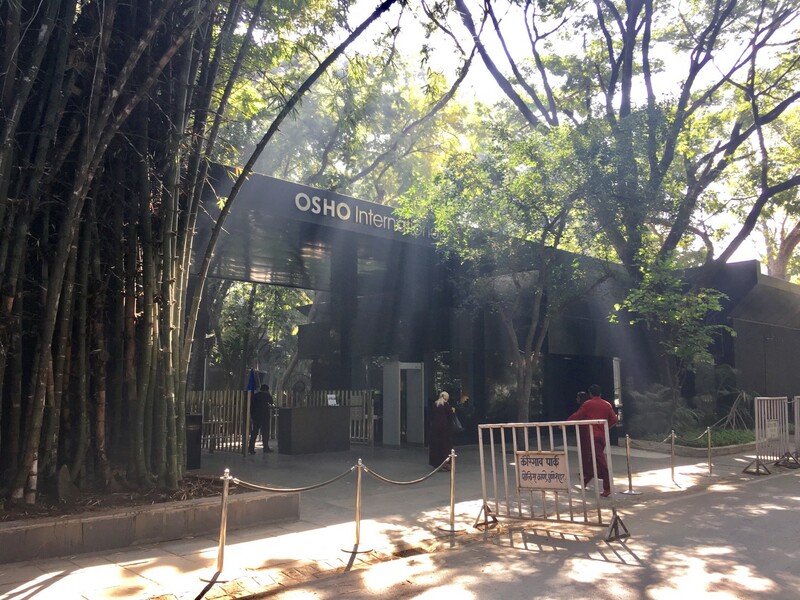 After my Goa retreat in December last year I travelled to Pune alone to the Osho International Meditation Resort, the largest meditation centre in the world which attracts thousands of spiritual aspirants every year. Entering into the Osho meditation resort is like entering into another world. The environment here is very pleasant and tranquil, full of Zen elements. The energy here is very strong, and people generally seem very happy and free, filled with love. Here you can connect with beautiful people from all over the world and you will not really meet a stereotypical person from a certain country. For instance, you will not really meet a stereotypical Japanese, rather you will meet the most warmhearted and open-minded Japanese! We let go of all the conditioning, we are not defined by our countries, race, religions and even cultures, we are simply the simple existence, the simple free beings. There are all sorts of meditations going on from 6am to 10pm, such as Dynamic, Kundalini, Vipassana, Mandala, Chakra, Sufi Whirling, Darkness meditations et cetera. It is like a meditation buffet all day long. There is also Taichi, qigong, yoga, dancing, Zen archery et cetera. Every course is designed to raise our consciousness and helping us to connect with the divinity within. No one will discuss about mundane daily matters. Every conversation is closely connected with consciousness, meditation, spirituality, subconscious, unconscious mind, divinity, higher self, past life et cetera. Whether you are eating at the restaurant or changing your clothes in the change room, that’s what you will hear about. We will also share our love of Osho and connection with Osho. Osho meditation resort may seem like a mysterious place for outsiders, because one cannot take photos inside (first is to protect people’s privacy, secondly because taking photos is not good for meditation). And everyone needs to wear a maroon robe (representing Oneness) and white robe at night for the evening meeting (representing purity and unity). Because a lot of people do not understand Osho so there are lots of gossips and rumours about what’s going on. I genuinely hope those people who spread gossips actually come here and have a look at it themselves. When I started walking on the spiritual path, I started reading quite a lot of spiritual books and naturally I encountered Osho. Osho is the most famous and influential spiritual master in the 20th century (and unavoidably controversial). Osho’s life mission is to ‘restore spirituality in humanity. So he gave lots of talks on spirituality, religion etc. There are over 600 books published based on his talks, translated into over 30 languages and sold all over the world. I’ve tried many different things when I started walking on the spiritual path. I went to the church, singing and reading the Bible. I also went to Buddhist temples, burning incense and chanting, reading Buddhist related books. It seems to me every religion is right. I also practise yoga and meditation, reading the Yoga Sutra. When I finally encountered Osho, I know there is no need to seek anymore. Osho advocates all religions are one, whether it is Christianity, Buddhism, Taoism et cetera. Although they are different stories and people from different backgrounds, but the essence is the same. The essence of religion is to promote love for all, peace, compassion and so on. Only misunderstandings in religion creates separation, thinking that one is superior than another. At Osho, you will see that each place is named after a religion e.g. Chuangzi Hall, Lao-tzu Garden, Jesus House, Budda Groove and Krishna House. Most importantly God is within us, it is not only Jesus, Buddha can be God, God is not something that is outside that we need to look upon and be afraid of. In fact, God is within everyone. When you raise your consciousness continuously, then you can connect with the Divinity within, at that moment, you are also God, you can also be the Buddha, the Jesus. The only difference is that if we can keep our divinity all the time. If we can connect with our divinity in every moment of our lives, then we are also enlightened, we can also be God. Here I woke up at 5am, doing Dynamic meditation at 6am, then I would either do Taichi or Zen archery or dancing, and also learning all sorts of different meditations. When I first arrived in Pune I felt a bit exhausted from all the travels. But I still decided to go to four meditations straight (Silent sitting/Kundalini/Evening meeting/Third eye meditations). After all these meditations, my energy was so high that I felt like I could run a marathon. Before I did not know much about dynamic meditation, was only familiar with silent sitting. After this encounter, it made me realise how powerful dynamic meditation actually is! Dynamic meditation is especially good for busy modern people. Silent sitting meditation such as Vipassana was invented thousands of years ago when people did not have such a busy lifestyle and they also did not have so many distractions like facebook and other social media. For people who lead a busy lifestyle, it is very hard for them to sit still. Even if they are sitting silently there may still be a lot of inner chatters inside which stops them from entering into the meditative state. With dynamic meditation, people can first go into their body by doing a lot of movements, such as dancing, shaking, jumping, then after they have exhausted their energy, they can then sit down silently and they will experience a deeper silence. I also took Sannyasa on my last day at Osho and celebrated with people from all over the world, we hugged and danced together. A very special moment in my life that I would never forget. It meant a lot more to me than any of the celebrations and graduations in my life. The decision to take Sannyasa at Osho was very natural for me. Osho’s Sannyasa is unlike traditional Sannyasa where you renounce everything. Osho tells us to be in the world but not of the world i.e. Do not be affected by it. In fact, do not be affected by anything. Remain true to yourself. Earn the money you have to earn, live the life you want to live, but most importantly live life in its totality with only one condition, that is awareness, meditation. Taking Sannyasa at Osho means that I am an individual seeker of truth and I can walk on the spiritual path independently. My Sannya’s name is Anjali (pronounce similar to ‘Angelique’). In Sanskrit, it means Divine offering. I feel very strongly that Osho has chosen this name for me rather than I picked it as so many people already thought I was a Sannyasin and called me Anjali since day one here. The Divine is working through me as an instrument. I am offering my love to as many beings as possible. I am spreading peace and bliss to the world. I am pure love, pure light and pure delight. I am forever grateful for your guidance Guruji. it has nothing to do with anybody else. One is not “in love”, one is love. That is not the source. I’m pure love, pure joy, pure bliss.